In 1919, the 19th Amendment gave women the right to vote. 100 years later, during Women’s History Month, we’re spotlighting a few women in our business who have inspired us at Office Essentials, as well as helped future generations of businesswomen and entrepreneurs. 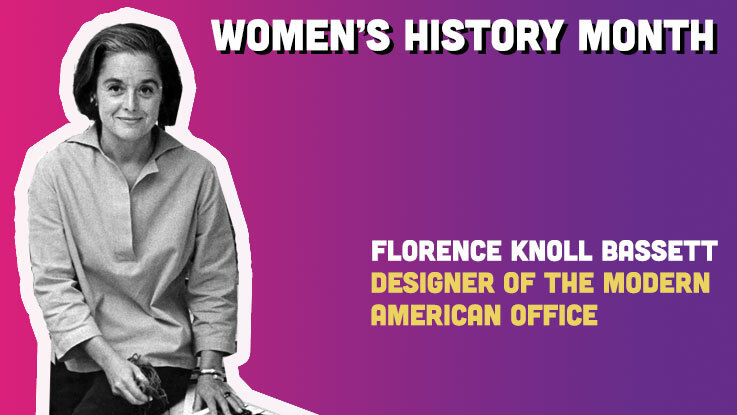 The first woman we’re going to spotlight is Florence Knoll Bassett. Why: Florence Knoll Bassett, a pioneering designer and entrepreneur, created the modern look and feel of America’s postwar corporate office with sleek furniture, artistic textiles and an uncluttered, free-flowing workplace environment. She favored open work spaces over private offices, and furniture grouped for informal discussions. She integrated lighting, vibrant colors, acoustical fabrics, chairs molded like tulip petals, sofas and desks with chrome legs, oval meeting tables, and futuristic multilevel interiors. Examples of her work can be seen in the collections of the Philadelphia Museum of Art, the Museum of Modern Art and the Metropolitan Museum of Art in New York and the Musée des Arts Décoratifs in Paris. In 2003, President George W. Bush presented her with the nation’s highest award for artistic excellence, the National Medal of Arts. 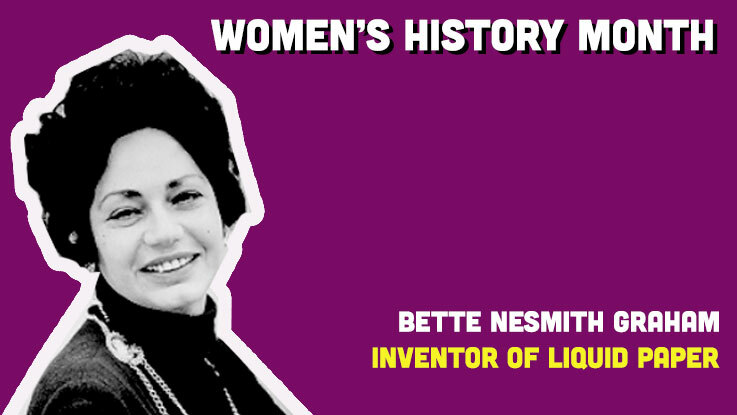 Bette Nesmith Graham didn’t tell anyone about the first few bottles of her whitish concoction. She had mixed it in her kitchen blender and poured it into nail polish containers, then hid it in her desk, furtively applying it only when needed to avoid the scrutiny of a disapproving boss. In due time, her mix would be in virtually every office desk and supply cabinet around the world. The substance was Liquid Paper, the correction fluid that relieved secretaries and writers of all stripes from the pressure of perfection. Graham later brought it to market and was soon leading an international business, based in Dallas, that produced 25 million bottles of Liquid Paper a year at its peak, with factories in Toronto and Brussels. She would sell the company for $47.5 million in 1979 and donate millions to charity — six months before she died at 56. 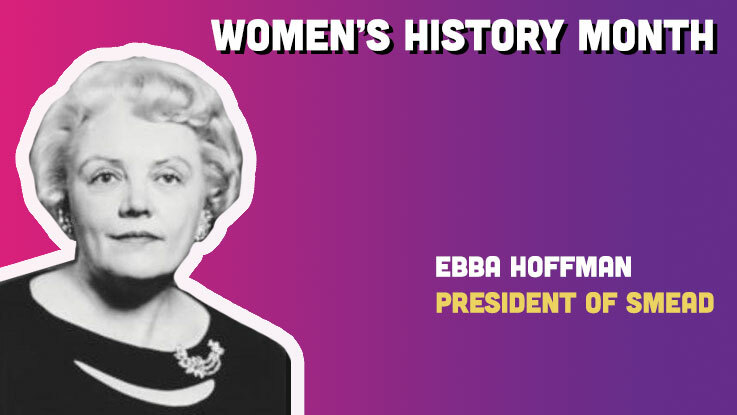 Why: Ebba Hoffman found herself a female president of a male dominated world in 1955 with the unexpected death of her husband (Harold), owner of the Smead Manufacturing Company. Yep, those file folders. Widowed with two young children to raise alone, two will-less estates to settle (her father-in-law had died the previous year) and a heavily debt-burdened company, Ebba had to go to work. Within the first ten years of her presidency, Ebba Hoffman not only saved Smead from going out of business, she succeeded in turning it into one of the leading office product suppliers in America. Her achievements of expanding the product lines, territories and increasing overall sales were especially significant because the office products industry was almost exclusively a man’s world. At dealer and sales conventions, Ebba was often the only woman. And yet, she pioneered paths for inventory control, order processing and production procedures to ensure quality control standards for each Smead product. Bonnie Spencer Swayze took the helm of the Alliance Rubber Company in 2008. She represents the third generation of family ownership that proudly boasts 94% of their sales of American-made products comply with the standards “Buy American” set-aside in conjunction with US Government Purchases. When our Office Essentials partners select Alliance Rubber products, they enjoy fresh stock, fast service and awesome fill rates along with consistent top quality products. Swayze is so passionate about her family company’s commitment to their American-made products she personally invites you to take part in their “We Can Make It In America,” pledge to spend $1 per day on American-made goods in effort to help create 1 million jobs in our country. And yes, she is very distantly related to the late Patrick Swayze.